I was very excited to hear about a new secret sausage shop that has opened in Bishops Stortford and so I jumped at the chance to go and visit. Tragic news has hit all meat eaters out there who have been enjoying the low ‘syn’ value of a Porky Light sausage. Moss Valley Fine Meats is just outside Sheffield and make excellent sausages and bacon with high quality British pork. I jumped at the chance to go along and visit to find out more! My adventures looking for the best sausages in the UK have taken me far and wide! In this video we pair sausage, pizza and wine – what’s not to like? 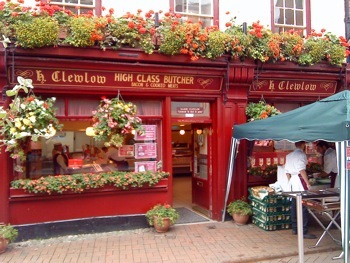 BUTCHERS H Clewlow have flown the flag for Cheshire by winning multiple golds in the Butchers Q Guild Smithfield Awards. A Sleaford butcher has had customers travelling from all across the country to try his unique Prosecco flavoured sausages. SLIMMERS desperate to get their hands on low-fat sausages have sparked a nationwide shortage as supermarkets struggle to keep up with overwhelming demand. The annual Harwich sausage competition took place recently and Richard, one of the organisers and founders kindly sent us a report on proceedings.